The residents of this beautiful home were ready to make some changes in their hallway and master bathrooms. In the hallway bathroom, the residents were ready to change the entire bathroom in terms of style and color scheme. 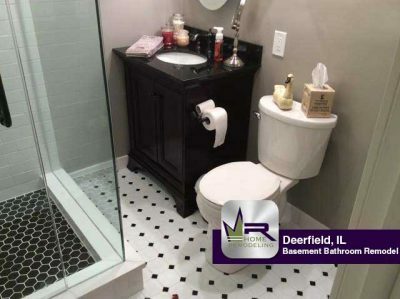 The residents of this lovely home were looking to upgrade and modernize the bathroom in their basement. Regency started the job by removing of all cabinetry and fixtures, floors and walls. Regency also removed the rotten framing from behind the shower walls and plumbing wall. 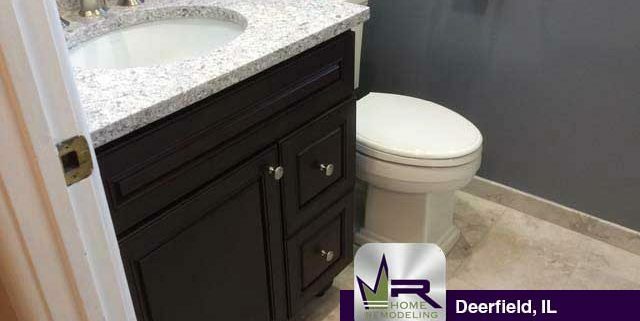 The family bathroom and the hallway bathroom both required a complete remodel. All of the existing cabinetry, tile work, electrical and plumbing needed to be updated. Regency drew two new designs and the work began.